I recently outgrew the hot plate I was using for reflow soldering of pcbs, and I upgraded to a reflow oven powered by the ControLeo2 reflow controller by whizoo.com. When making circuit boards, a big deal in even small production is being able to do more than one thing at a time. 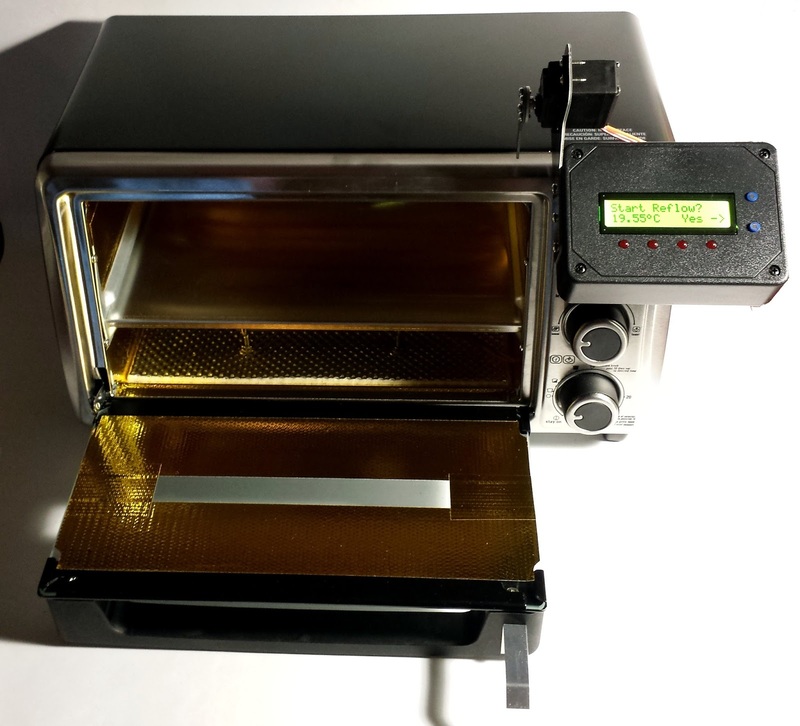 One way to do that is by using a reflow oven to solder all the components on a board at once instead of one at a time by hand. To do that, you need a special oven. The ControLeo2 was a project funded on Kickstarter and created by Peter Easton. I recently received a unit and I have to say, I'm mightily impressed with the quality and care that has clearly gone into this product. Here is my completed oven, all ready to go. You can see all the reflective coating on the inside as well as a servo motor that cracks the door open to control the cooldown period. Good control over the reflow process is key to reliability. I can't wait to give it a real workout. If the performance is anything like the quality of the components and parts I've seen so far, I'm going to be very happy with my new oven.